When we first moved into our current house, newly married, I had some caulking to do around the place. I found some silicon caulking that boasted on the tube that it was warranted for 20 years. Cool, I thought. I’ll never have to do this again. Twenty years later, what’s this? The caulking is staring to fray, disenigrate, fail. I realize now that 20 years is not forever, though it seemed that way before. Now that I am almost 60, I can see very permanent things decay in my own lifetime. Surprising, asphalt doesn’t last forever, nor do iron and even stone. Some of the most permanent things we can think of — the earth beneath us — visibly moves over 60 years. The hill our house rests on is slowly sliding around us. Over a hundred years tree roots can crumble foundations. Try to make something last for 1,000 years and you’ll quickly realize that this is an almost impossible achievement. It requires the constant application of order and energy to combat the everyday entropy unraveling what has been made. It’s taken me 60 years, but I had an ephipany recently: Everything, without exception, requires additional energy and order to maintain itself. Not just living things, but the most inanimate things we know of: stone gravemarkers, iron columns, copper pipes, gravel roads, a piece of paper. None will last very long without attention and fixing, and the loan of additional order. Life is maintenance. Most surprising to me has been the amount of sheer maintenance that software requires. Keeping a website or a software program afloat is like keep a yacht afloat. It is a black hole for attention. I can kind of understand why a mechanical device would break down after a while — moisture rusts metal, or the air oxidizes membranes, or lubricants evaporate — all of which require repair. But I wasn’t thinking that the intangible world of bits would also degrade. What’s to break? Apparently everything. Here is news to the young: Crap accumulates in code. Chips weaken. Programs break. On their own, nothing you did. And then there is the assault of the changing digital landscape. When everything around you is upgrading, trying new actions, or seeking new loopholes, this puts pressure on the website and necessitates maintenance. You may not want to upgrade, but you have to because everyone else is. This upgrade arms race spills over into our private lives. It’s completely altered my attitude about upgrading. I used to upgrade begrudgingly (why upgrade if it still works? ), and at the last possible moment. The trouble is familiar. Upgrade this and suddenly you need to upgrade that, which triggers upgrades everywhere. A “tiny” upgrade of even a minor part can be hugely disruptive. But as our personal technology became more complex, more co-dependent, more like a personal ecosystem, delaying upgrading is even more disruptive. So I now see upgrading as a type of maintenance: you do it to survive. Technological life in the future will be a series of endless upgrades. Expecting to spend your life upgrading should be a life skill taught in school. Indeed, I’d like to learn how to manage maintaining my digital ecosystem better myself. There must be a zen and art to upgrading. A thought on the upgrading process. The newer, more successful operating systems have upgrading all installed software built in. I’m thinking of Android and iOS and their associated markets. Android 1.5, upgrading was a manual pain but they got right by 2.0, then back ported the success to 1.6. On Windows, I try to avoid installing usual builds, looking for PortableApps alternatives. I don’t use PortableApps from my Thumbstick as intended. instead I install to C:. Reason? PortableApps has a built in updater, that just works. I was going somewhere with this? Oh yes, I think you’ve hit the nail that upgrading is now an essential part of life, and those companies that realise this, and make things easier for user are benefiting. Win-Win. Adobe just announced you can now rent or subscribe to their software, by month or year. That will be an upcoming remedy for upgrading their software — but good as that automatic upgrade is — it has ripple effects on software that is not auto-upgraded. Adding energy to inanimate things gives them the illusion or quality of animation in some ways – given enough time to observe everything becomes part of one system. One can imagine whole cosmic systems rising, thriving, disintegrating, reintegrating over centuries or nanoseconds. Maybe the zen of it begins with taking note of the process and projecting how our actions branch the possible futures? The degrading part is why even considering storage of nuclear waste (in a 100,000 year perspective) is such a frightening idea. Long before 10,000 years, we’ll reprocess the waste for fuel. A lot can happen in 10,000 years or 1000 or 1. As we learned (or should have) from Japan, degradation can happen in an instant. Yep, and its good that their systems did not fail catastrophically. As someone solely responsible for maintaining a very large hotel, here are a few other other things I’ve noticed about the nature of maintenance — There are mostly two types of maintenance — interior systems (plumbing, HVAC, electrical, lockware, audiovisual, web access) and exterior surfaces (carpet, paint, wallpaper, tile, upholstery) Maintaining interior systems requires special technical knowledge while exterior surface repair emphasizes craftsmanship. Interior systems speak to convenience and comfort while exterior surfaces address aesthetic desirability. All interior systems are monitored and regulated by computers while exterior maintenance has no digital correlate. In terms of the individuals who carry out these repairs, it is a rare soul who is equally skilled in the interior and exterior, as most seem to specialize in one or the other, i.e. with regards to expertise, there is seldom overlap. Also, I’ve taken to noticing lately the very different ways in which the hand and arm are used while making repairs in these two different domains. At times, exterior repairs contain a kind of rhyhtmic, almost dance-like movement (watch a painter cut in a ceiling with a brush or a wallpaper guy smooth out his material or a tile guy finish off grout). It’s a kind of graceful physical cadence that I have yet to see in the maintenance of interior systems. That is really interesting. There must be an analog to intangibles…. Wow, I can see how your approach to processes has lead you to your current level of responsibility! Very interesting! A friend of mine has an AI company that reduces redundant efforts among multiple hotel locations, and optimizes inventory, purchasing, shipping, etc. for cost-effectiveness. (It makes me curious as to what Hotel it is, and if it’s large enough to benefit from his services.) It’s interesting, to me, to look the daily maintenance flow of systems like this. An AI upgrade would likely increase the “wealth” of the system, reducing maintenance costs (as per my comment above). Your comment on external systems makes me wonder what it’s going to look like when the “printer robots” are finally the ones in charge of all “external systems” repairs. Will robots put the plasterers out of work before they do the same to the plumbers? How soon before they’re “artful?” Even the low cost (time) of purchasing replacement printing substrate for an ambulatory robotic printer is a maintenance cost, but it’s a very low one, and possibly one automated by AI (where the AI makes the purchase, so they only maintenance cost to you is giving your credit card permissions to the AI one single time). Ultimately, the costs of maintenance are very low, when we’re surrounded by truly ubiquitous computation, and computation replaces the dollar as a measure of wealth. Just my .02. There’s also a little jewel I call “the evolving user paradigm,” wherein the ability to disrupt is directly proportional to the growth and experience of users. Those who upgrade are, therefore, upgrading themselves, and this accelerates any disruption created by the Technium. What about monuments that last hundreds or thousands of years without maintenance? What about the pyramids? Stone can be quite hardy but, it seems, only in dead things. Well, but there’s the pavement in Rome as well, isn’t that preserved from ancient times? Compared to their original state both the pyramids and Roman roads are highly degraded. And both have had a fair amount of attention and some care over the centuries. Take a look at lost Mayan pyramids for a sense of what they could have become (though the desert helps). Everything seems to be a verb. That’s “Verb’s the word”, you idiot! @John: You obviously don’t understand Haigspeak, where all parts of speach can be verbed: In this case Ryan verbed verb in 2nd person singular to get verbs. Verb is a regular verb: He verbs, he verbed, he has verbed, he is verbing, etc. > Here is news to the young: Crap accumulates in code. Chips weaken. Programs break. On their own, nothing you did. No. *You* change – things you interface with change! Chips don’t weaken on their own, crap doesn’t accumulate in code magically. You have an original Macintosh with MacPaint and files on it? Boot it up and watch it work like the day it was made. Software is math. (See Curry-Howard isomorphism.) Math doesn’t change. What changes is what math we want to use. Nope. I ran my Mac G4 for about 10 years, rarely turning it off. It became very squirely. Some apps had small corruptions. And if I ran it for a month without rebooting, all kinds of weirdness would accumulate. Sorry, the idea that programs are divorced from the physical world is just wrong. Embedded computers run next to forever, and indeed, must. They are ‘updated’ through product recalls, which happen so rarely they are news. Why can they do this? Because their *requirements* do not change. Servers and mainframes whose requirements do not change run for decades without a problem (cue programming stories about servers getting walled in by construction and the sysadmins being able to use the server but not physically find it). If Macs can’t do that, that says more about Apple & Macs (or you) than it does about software in general. > Sorry, the idea that programs are divorced from the physical world is just wrong. The most obvious one is that you think the logicians are incorrect when they say that the Curry-Howard isomorphism is true and that all programs are mathematical proofs – but you can’t mean that, so I don’t know what you mean. Exactly my point. Chips wear out. By this I mean that it matters what hardware software runs on. The Church-Turing Hypothesis that all universal computation is equivalent is wrong. The character of computation is influenced by the hardware. It is only equivalent if given infinite time and space, and that is exactly what the real world does not have. I hate upgrading! Such a pain! Part of my daily boot-up of my laptop is to run `pacman -Syu`, which updates anything that updated in the world. It’s so easy! Only tiny changes. Never a big new release. Just constant little updates. Feels like nothing. You don’t procrastinate because there’s nothing to it. There’s gotta be a good metaphor for the real world, there. I love your wise thought, as i am over 65 myself. I will retain that life is maintenance and that we all need a zen of upgrading. One little pebble I would add to your construction: besides ceaseless learning and unlearning which is the upgrade of our minds, we learn also to simplify, to do more with less, not to have so many things to maintain. that which you do not have does not need maintenance and nobody can put competitive pressure on you by things you dispense of. You will probably agree that this is not poverty but freedom. I’ve observed that upgrades become progressively more painful the longer you leave them. As Derek noted, the daily trickle of package updates on his Arch Linux box is easy to manage. By contrast, I’m pretty much terrified by the prospect of upgrading my home fileserver with its Ubuntu release from late 2007. I think at least part of the Zen of upgrading is the acceptance of the idea that little and often is better than rare “big bang” updates. The old saw of “if it works, don’t fix it” becomes less valid over time. On the other hand, I just upgraded an old acer laptop to ubuntu 11.04 (was 10.10) and am cursing myself for doing so. Endless problems with wifi connections that used to “just work” and now “just dont”. So now I face front and centre the significant issue of tracking the current state of intangibles is that it doesn’t take too long to reach a point where the tangibles need to be upgraded too! However in this case the laptop cannot be upgraded, only replaced. store my files on a separate filesystem mounted on /home. Even a typewriter needs a new ribbon now and then! Obvious nonsense. Provably false, 100% unbelievable tripe. My Kaypro 2 computer works perfectly. Zero maintenance since 1983. My IBM PC XT works perfectly. Zero maintenance since 1986. My Apple ][+ works perfectly. Zero maintenance since 1980. Both my bicycles have been working perfectly for the last year. “Maintenance” here seems to mean replacing the tire whenever it goes flat. Other than that, zero maintenance. You’ve been using the wrong software/hardware/machines. Fixing a flat tire is maintenance. Good news on your Kaypro and IBM PC. I have some hand tools that don’t wear out as well. Sadly, these gadgets are unusual these days. Wow, right on, man! I agree. Life itself, to me anyway, seems like this odd eddy in a current…we sequester energy temporarily, holding it in more or less one place, pulling more into ourselves, until we don’t. Thanks for the great post. Been feeling the opposite lately, have been using an IBM A22m laptop running Win2k since 2001 and still can’t find an affordable alternative that will guarantee that kind of durability, extensibility, cheap parts, sensible form factor and features. I can probably put some lightweight flavor of linux (Puppy with Xfce) on this machine and get another ten years out of it. The battery is the downfall, has been giving me only 30 seconds of life and is too expensive to replace. Which leads to a favorite epiphany of mine: Try to design something which can last–even be recognizable as human-made–for 50,000 years. It may be impossible. Even 15,000 years requires herculean effort–gold artifacts can last this long–though almost certainly will be destroyed and repurposed by future humans. This is true of most other durable metallic structures and artifacts. Carved stone? Not a chance. Buildings? Ditto. Data storage? Unless constantly rebuilt or refreshed, with concurrent degradation and/or translation shift; no. Knowledge itself? Hmmm, seems like verbal history, sometimes known as myth, has the best opportunity here. The epiphany? That the “service lifetime” of the longest possible forms of artifact oddly coincides with our current belief for the date of the “dawn” of civilization. Human physiology hasn’t appreciably changed for ~300,000 years, yet the “dawn” of civilization was 15,000 years ago, or 1/20 of that time period? Perhaps. And perhaps not. Software upgrades cannot be equated with thermodynamics. 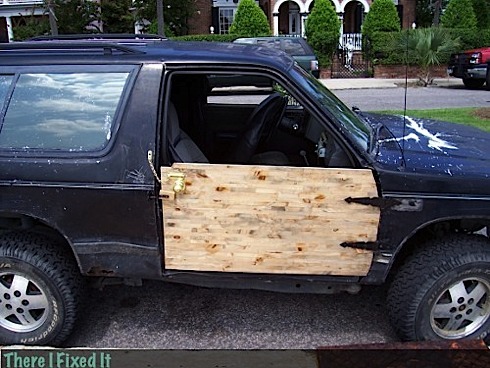 That is, the upgrade is not necessary in the same way a plywood door is. By the way, what a scam they have going in the auto parts universe–they make maintenance so expensive that people are practically forced to get a new car (Honda may be the exception). My idea for a new car paradigm was to have the Germans design the chassis along with its power components and every 5 years or so, we buy from Detroit a new “shell” to put over it. I find that software upgrades are just a means to get you to upgrade from the free version or to sell you something else that the company has available. Only security upgrades may be considered necessary but that’s only because software development is always rushed to market to appease the CEO. Thought verb = thinking. A web site, for example, has to be constantly thinking, producing and evolving. Adding new buttons, posts, etc…. maintaining comments. We still get clients that want a “set it and forget it site.” Fact is, they must commit to maintenance or die off as an anachronism within a year or two (measured in months for some industries). Yes, that really resonates with me too (perhaps it’s a past 50 thing). But, in reality, it is simply the experience of entropy. The second law of thermodynamics is about how systems tend to equilibrium and, ultimately, entropy is about probabilites. Order is simply less probable than disorder. As James Gleick notes in ‘The Information’, ‘the equilibrium of the second law is simply the tendency of the universe to flow from less likely (orderly) to more likely (disorderly) macrostates’. Living creatures, at least temporarily, create order from disorder. Shrodinger argued that that was actually the definition of something being alive. Stone Henge and the pyramids come to mind talking about objects that have lasted centuries. They are not particularly useful though. Hey Kevin. What you’ve just experienced and described is an everyday manifestation of one of the fundamental truths of existence: the second law of thermodynamics, which states that the entropy, or the state of disorder, of a system always increases over time. It’s a fancy way of saying that EVERYTHING–your house, your car, stars and planets–will fall apart unless energy is injected (say, you cleaning your room) into the system to fix it. Of course, as a meditative alternate perspective, your essay is very interesting and produces a unique state of consideration in my mind. Although there’s a difference of opinion in the conclusion, the conclusion isn’t so strongly stated as to rule out the beauty of the initial ponderance.